On the 6th floor of the Ascott Hotel in Huaihai road you will find the hugest terrace in Xintiandi. We went for a late brunch on Sunday and it was full, but we could get a table. No need to worry about the cool winter days that are coming because they have a heating system so you can still enjoy the outdoor deal. 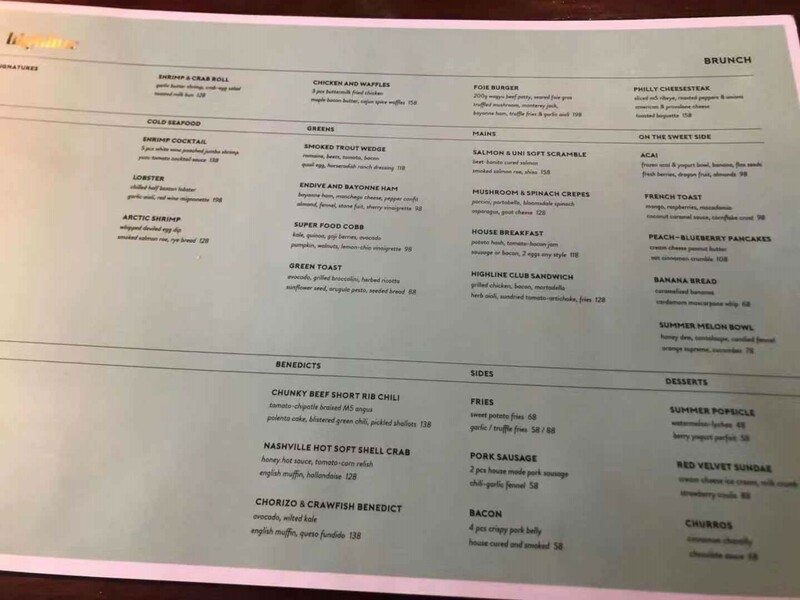 The menu includes signature dishes like chicken and waffles that seems to be a very popular one because most of the tables around ordered it. 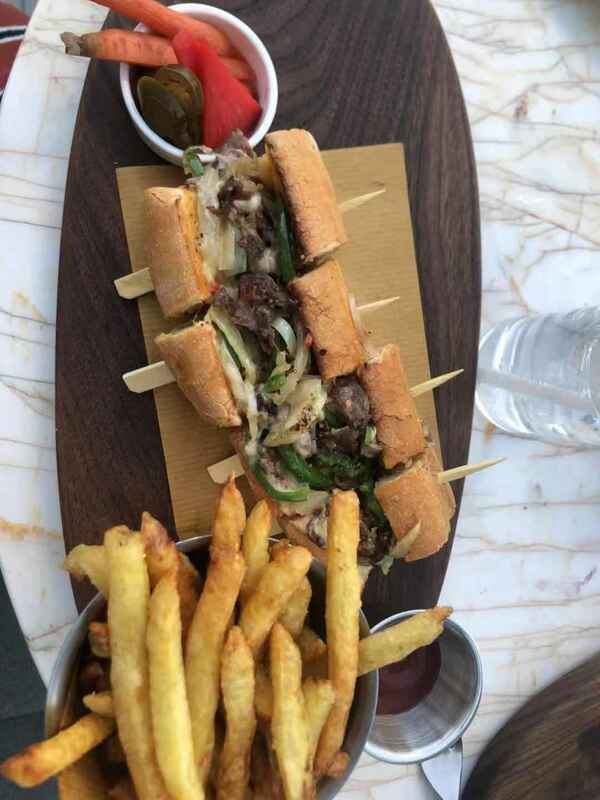 But, as usual, we went for another signature one, the Philly Cheesesteak. Juicy and well-seasoned beef, but most important: the melted cheese all over. Well done for that! Although we weren’t hungry enough this time to order almost the whole menu, I can say it is pretty well balanced regarding the options they offer. You can find eggs, mains, greens, seafood, French toast, pancakes, and a couple of dishes with sausage or bacon options for the classic American brunch style lovers. Also they have acai bowl, which will be my next time choice because is hard to find around. One last thing, they have churros with hot chocolate which sounds very exciting for a cool winter afternoon, will come back for that one for sure as well. Overall impression: spectacular terrace, good brunch menu for every taste and fast/kind service. Definitely deserves a stop if you are wondering around XTD.